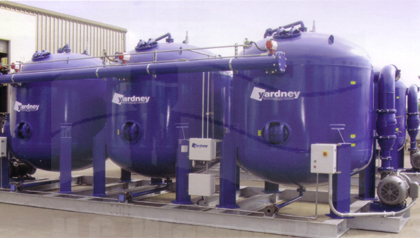 Yardney IMA-65 Iron and Manganese Removal Filters are the answer to the question of how to removal harmful iron from small to medium water systems. Media is not expended and does not require regeneration. Arsenic is found to be effectively removed with associated with iron-containing influent. IMA-65 is a specialty media designed for the removal of iron and manganese without the use of potassium permanganate. Arsenic removal – the IMA-65 has been shown effective in the removal of arsenic associated with iron-containing influent. Systems are custom built for your flow rate requirements.